Skunk2 is proud to introduce the first-ever billet aluminum, K-Series Timing Chain Cover. An original design, Skunk2’s Timing Chain Covers were designed specifically for Honda’s K20 and K24 engines. Manufactured from aircraft-quality, 6061-T6 billet aluminum, K-Series Timing Chain Covers mount to the factory location yet feature a unique, two-piece design that allows for easy cylinder head removal. The multi-piece design allows for each cover to be shortened as necessary for engines with milled cylinder heads or decked blocks. K-Series Timing Chain Covers also feature enlarged timing chain tensioner openings for easier access. Skunk2’s K-Series Timing Chain Covers are engineered and tested in-house and are available for K20 and K24 applications in black-anodized, clear-anodized, and raw finishes, and feature Skunk2’s classic, laser-etched logo. 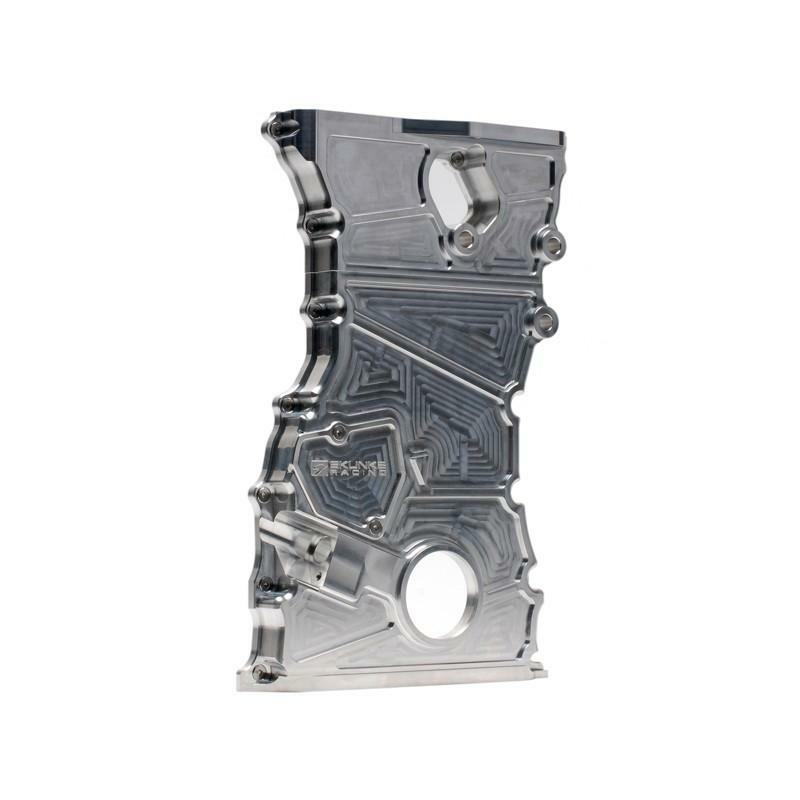 Each cover is carefully machined using state-of-the-art CNC equipment for an OEM fit and finish and a leak-free seal. Skunk2 Timing Chain Covers also include low-profile, stainless steel mounting hardware for a truly customized, high-end look.